When working with files like SAS programs, images, documents, logs, etc., we are used to accessing them in operating system directories. In Viya, many of these files are not stored on the file-system. In this blog, we will look at where and how files are stored in Viya, and how to manage them. In Viya, external files are stored in the Infrastructure Data server and accessed using the file micro-service. The file service manages a wide variety of file types including, images, html files, text files, csv files, SAS programs, media files, pdfs, office documents and logs. The file service is not a complete file system, but rather a method of accessing individual files stored in the infrastructure data server identified via their URI (a unique identifier). Some files may also be accessible in Viya folders. The file service stores resources like images, SAS programs, etc. 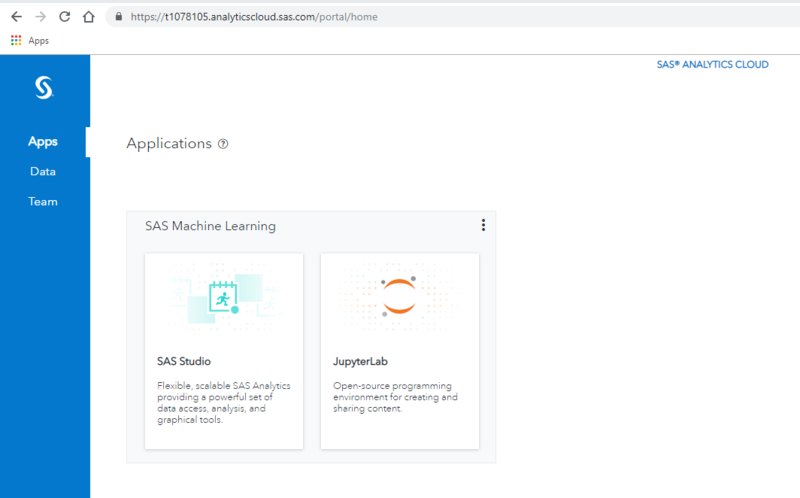 in the Infrastructure Data server, but they are accessible from Viya folders in the Content Area of Environment Manager or in SAS Drive. The screenshot below shows the properties of an image file that was uploaded to a Viya folder using SAS Drive. You can see the filename, the URI (including the ID) and the location in the folder structure. 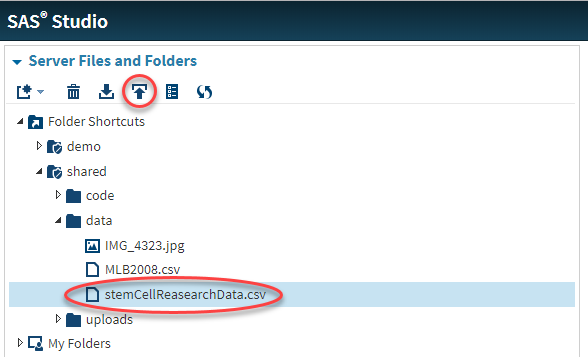 For files that are surfaced in folders, we can manage the files (view, copy, move, delete etc.) using SAS Environment Manager Content area, SAS Drive or the Folders command line interface. To learn more, watch this video from the SAS Technical Insights and Expertise Series. However, many system generated files are managed by the file service and stored in the infrastructure data server, but are not accessible from the folders interfaces. 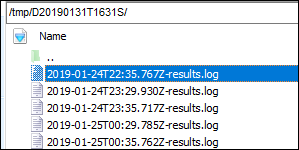 A good example of system generated files that an administrator may need to manage are logs. Many times when processing in Viya, logs are created and stored in the infrastructure data server. For example, when CAS table state management jobs, data plans, file imports, model or scoring processes are executed, a log is generated and stored by the file service. How do we manage these files? While the files generated are mostly small in size, a large active Viya system with a long history will need management of the log and other files stored in the infrastructure data server. One way we can access these files is using the REST API of the file service. You can use your favorite tool to access the REST API. In this blog, I will use the GEL pyviyatools, initially the basic callrestapi tool. For more details on the pyviyatools, read this blog or go directly to the SAS GitHub site. To get a list of all files are stored in the infrastructure data server send a GET request to the /files/files endpoint of the files service. Partial output shows the image file referenced above and what could be a system generated log file. 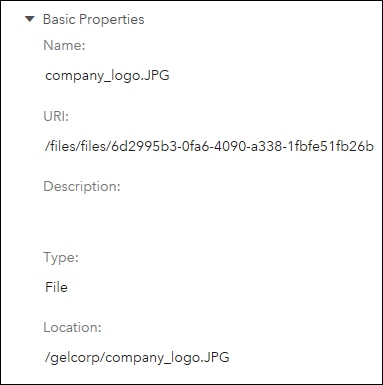 To see the content of a file, use a GET request, the id of the file and the content endpoint. The content of the log file is displayed in the call below. This will display the file contents. The output shows the log from a CAS table state management job. I started my journey into the file service to discover how an administrator could manage the log files. In reviewing the files and their contents using the REST API, I discovered that there was no easy way to uniquely identify a log file. The table below shows the attributes of some of log files from the GEL Shared Viya environment. As this post has illustrated, file service REST API can be used to list and view the files. It can also be used for other file management activities. To help administrators manage files that are not visible via a user interface, a couple of new tools have been added to the pyiyatools. listfiles.py provides an easy interface to query what files are currently stored in the infrastructure data server. You can sort files by size or modified date, and query based on date modified, user who last modified the file, parentUri or filename. The output provides the size of each file so that you can check the space being used to store files. Use this tool to view files managed by the file service and stored in the infrastructure data server. You can use lisfiles.py -h to see the parameters. This tool will create a timestamp directory under /tmp and save a copy of each file in the directory. If you want to archive and delete, add the -x option. IMPORTANT: Use the archive tool carefully. We recommend that you run a Viya Backup prior to running the tool to delete files. Now you know where your files are and you have some help with managing them. 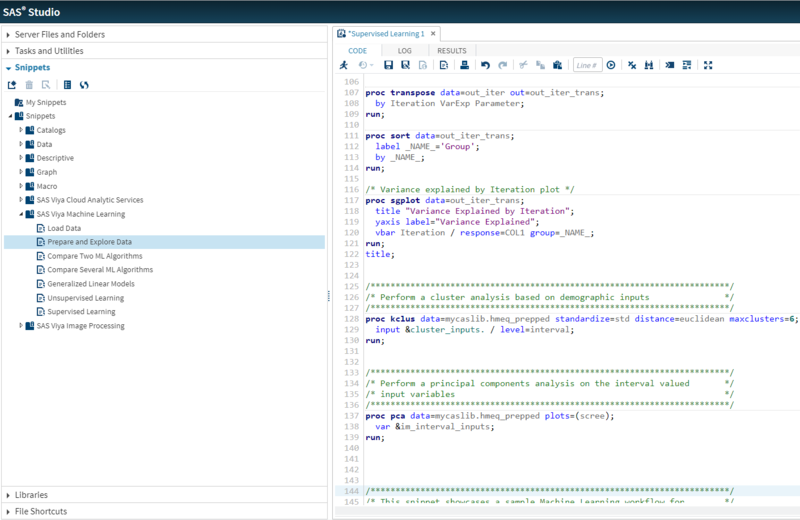 For the full details of how you can manage files using the file service REST API you can view the file service REST API documentation on developer.sas.com. If you would like to suggest any changes to the existing tools, please enter a suggestion on GitHub. Where are my Viya files? was published on SAS Users. Human language is astoundingly complex and diverse. We express ourselves in infinite ways. It can be very difficult to model and extract meaning from both written and spoken language. Usually the most meaningful analysis uses a number of techniques. While supervised and unsupervised learning, and specifically deep learning, are widely used for modeling human language, there’s also a need for syntactic and semantic understanding and domain expertise. Natural Language Processing (NLP) is important because it can help to resolve ambiguity and add useful numeric structure to the data for many downstream applications, such as speech recognition or text analytics. Machine learning runs outputs from NLP through data mining and machine learning algorithms to automatically extract key features and relational concepts. Human input from linguistic rules adds to the process, enabling contextual comprehension. Text analytics provides structure to unstructured data so it can be easily analyzed. In this blog, I would like to focus on two widely used text analytics techniques: information extraction and entity resolution. Information Extraction (IE) automatically extracts structured information from an unstructured or semi-structured text data type -- for example, a text file, to create new structured text data. IE works at the sub-document level, in contrast with techniques such as categorization, that work at the document or record level. Therefore, the results of IE can further feed into other analyses, like predictive modeling or topic identification, as features for those processes. IE can also be used to create a new database of information. One example is the recording of key information about terrorist attacks from a group of news articles on terrorism. Any given IE task has a defined template, which is a (or a set of) case frame(s) to hold the information contained in a single document. For the terrorism example, a template would have slots corresponding to the perpetrator, victim, and weapon of the terroristic act, and the date on which the event happened. An IE system for this problem is required to “understand” an attack article only enough to find data corresponding to the slots in this template. Such a database can then be used and analyzed through queries and reports about the data. "One good use case for IE is for creating a faceted search system. Faceted search allows users to narrow down search results by classifying results by using multiple dimensions, called facets, simultaneously. For example, faceted search may be used when analysts try to determine why and where immigrants may perish. The analysts might want to correlate geographical information with information that describes the causes of the deaths in order to determine what actions to take." Another good example of using IE in predictive models is analysts at a bank who want to determine why customers close their accounts. They have an active churn model that works fairly well at identifying potential churn, but less well at determining what causes the churn. An IE model could be built to identify different bank policies and offerings, and then track mentions of each during any customer interaction. If a particular policy could be linked to certain churn behavior, then the policy could be modified to reduce the number of lost customers. Reporting information found as a result of IE can provide deeper insight into trends and uncover details that were buried in the unstructured data. An example of this is an analysis of call center notes at an appliance manufacturing company. The results of IE show a pattern of customer-initiated calls about repairs and breakdowns of a type of refrigerator, and the results highlight particular problems with the doors. This information shows up as a pattern of increasing calls. Because the content of the calls is being analyzed, the company can return to its design team, which can find and remedy the root problem. Entity Resolution is the technique of recognizing when two observations relate to the same entity (thing, person, company), despite having been described differently. And conversely, recognizing when two observations do not relate to the same entity, despite having been described similarly. For example, you are listed in one data base as S Roberts, Sian Roberts, S.Roberts. All refer to the same person but would be treated as different people in an analysis unless they are resolved (combined to one person). 1. SAS Institute is a great company. Our company has a recreation center and health care center for employees. 2. Our company has won many awards. 3. SAS Institute was founded in 1976. The scoring output matches are below; note that the document ID associated with each match aligns with the number before the input document where the match was found. In the following section we focus on the pre-processing clean-up of the data. Unstructured data is the most voluminous form of data in the world, and analysts rarely receive it in perfect condition for processing. In other words, textual data needs to be cleaned, transformed, and enhanced before value can be derived from it. "As you are probably familiar with, data is rarely provided to analysts in a form that is immediately useful. It is frequently necessary to clean, transform, and enhance source data before it can be used—especially textual data." Extract, Transform, and Load (ETL) ETL is a general set of processes for extracting data from its source, modifying it to fit your end needs, and loading it into a target location that enables you to best use it (e.g., database, data store, data warehouse). We’re going to begin with a fairly basic example to get us started. Suppose we already have a SAS data set of customer addresses that contains some data quality issues. The method of recording the data is unknown to us, but visual inspection has revealed numerous occurrences of duplicative records. In this example, it is clearly the same individual with slightly different representations of the address and encoding for gender. But how do we fix such problems automatically for all of the records? Using regular expressions, we can algorithmically standardize abbreviations, remove punctuation, and do much more to ensure that each record is directly comparable. In this case, regular expressions enable us to perform more effective record keeping, which ultimately impacts downstream analysis and reporting. We can easily leverage regular expressions to ensure that each record adheres to institutional standards. We can make each occurrence of Gender either “M/F” or “Male/Female,” make every instance of the Street variable use “Street” or “St.” in the address line, make each City variable include or exclude the comma, and abbreviate State as either all caps or all lowercase. This example is quite simple, but it reveals the power of applying some basic data standardization techniques to data sets. By enforcing these standards across the entire data set, we are then able to properly identify duplicative references within the data set. In addition to making our analysis and reporting less error-prone, we can reduce data storage space and duplicative business activities associated with each record (for example, fewer customer catalogs will be mailed out, thus saving money). Your unstructured text data is growing daily, and data without analytics is opportunity yet to be realized. 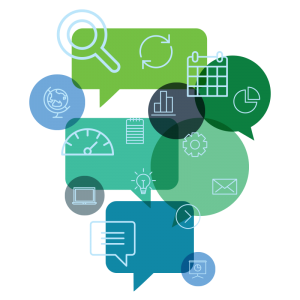 Discover the value in your data with text analytics capabilities from SAS. 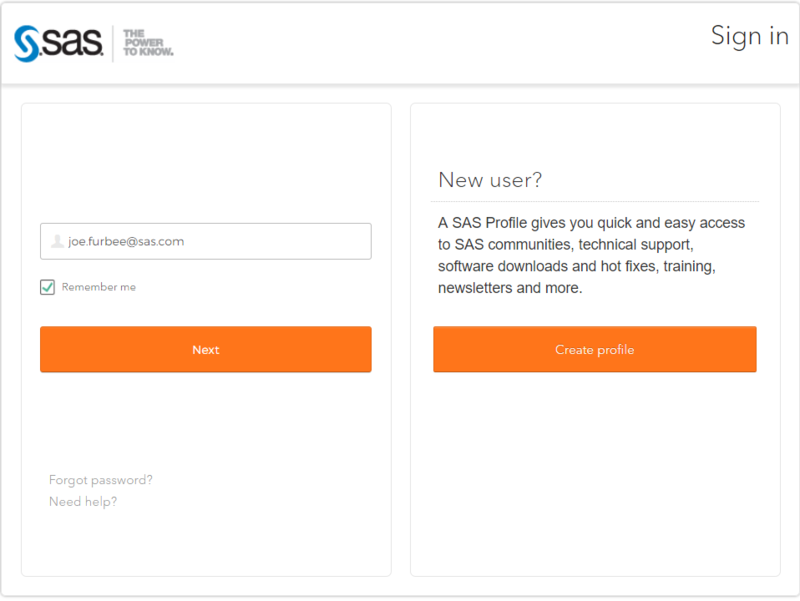 The SAS Platform fosters collaboration by providing a toolbox where best practice pipelines and methods can be shared. SAS also seamlessly integrates with existing systems and open source technology. 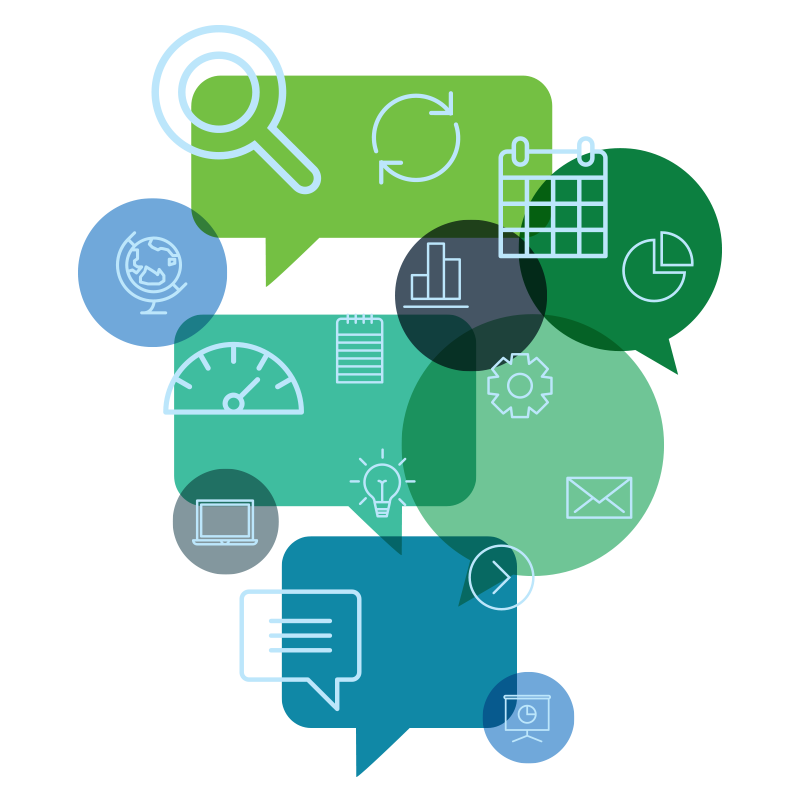 White paper: Text Analytics for Executives: What Can Text Analytics Do for Your Organization? Text analytics explained was published on SAS Users. I've previously written about how to deal with nonconvergence when fitting generalized linear regression models. Most generalized linear and mixed models use an iterative optimization process, such as maximum likelihood estimation, to fit parameters. The optimization might not converge, either because the initial guess is poor or because the model is not a good fit to the data. SAS regression procedures for which this might happen include PROC LOGISTIC, GENMOD, MIXED, GLMMIX, and NLMIXED. This article describes what the note means, why it might occur, and what to do about it. If you encounter this note during a BY-group analysis or simulation study, this article shows how to identify the samples that have the problem. Kiernan, Tao, and Gibbs (2012), "Tips and Strategies for Mixed Modeling with SAS/STAT Procedures"
Kiernan (2018), "Insights into Using the GLIMMIX Procedure to Model Categorical Outcomes with Random Effects"
What is the G matrix? where β is a vector of fixed-effect parameters. The random effects are assumed to be random realizations from multivariate normal distributions. In particular, γ ~ MVN(0, G) and ε ~ MVN(0, R), where G and R are covariance matrices. The variance-covariance matrix G is often used to specify subject-specific effects, whereas R specifies residual effects. A goal of mixed models is to specify the structure of the G and/or R matrices and estimate the variance-covariance parameters. Because G is a covariance matrix, G must be positive semidefinite. A nondegenerate covariance matrix will be fully positive definite. However, estimates of G might not have this property. SAS alerts you if the estimate is not positive definite. As stated in Kiernan (2018, p. ), "It is important that you do not ignore this message." If you encounter the note "Estimated G matrix is not positive definite" for real data, you should modify the model or collect more data. In a simulation study, however, there might be simulated samples that do not fit the model even when the data is generated from the model! This can happen for very small data sets and for studies in which the variance components are very small. In either case, you might want to identify the samples for which the model fails to converge, either to exclude them from the analysis or to analyze them by using a different model. The same situation can occur for few BY groups during a traditional BY-group analysis. The SAS log displays various notes about convergence. The second and fourth samples (the doc example) converged without difficulty. The log shows a WARNING for the first group. The third group displays the note Estimated G matrix is not positive definite. NOTE: An infinite likelihood is assumed in iteration 0 because of a nonpositive residual variance estimate. WARNING: Stopped because of infinite likelihood. The SampleID column is the value of the BY-group variable. The Reason column explains why the optimization process terminated. The Status column is 0 if the model converged and nonzero otherwise. Note that the third model converged, even though the G matrix was not positive definite! To detect nonpositive definite matrices, you need to look at the pdG column, The pdG indicates which models had a positive definite G matrix (pdG=1) or did not (pdG=0). Although I do not discuss it in this article, the pdH column is an indicator variable that has value 0 if the SAS log displays the message NOTE: Convergence criteria met but final hessian is not positive definite. If you run PROC MIXED on the samples in the GoodSamples data set, all samples will converge without any scary-looking notes. In summary, this article discusses the note Estimated G matrix is not positive definite, which sometimes occurs when using PROC MIXED or PROC GLMMIX in SAS. You should not ignore this note. This note can indicate that the model is misspecified. This article shows how you can detect this problem programmatically during a simulation study or a BY-group analysis. You can use the ConvergenceStatus table to identify the BY groups for which this the problem occurs. Kiernan, Tao, and Gibbs (2012) and Kiernan (2018) provide more insight into this note and other problems that you might encounter when fitting mixed models. The post Convergence in mixed models: When the estimated G matrix is not positive definite appeared first on The DO Loop. Many SAS procedures support the BY statement, which enables you to perform an analysis for subgroups of the data set. 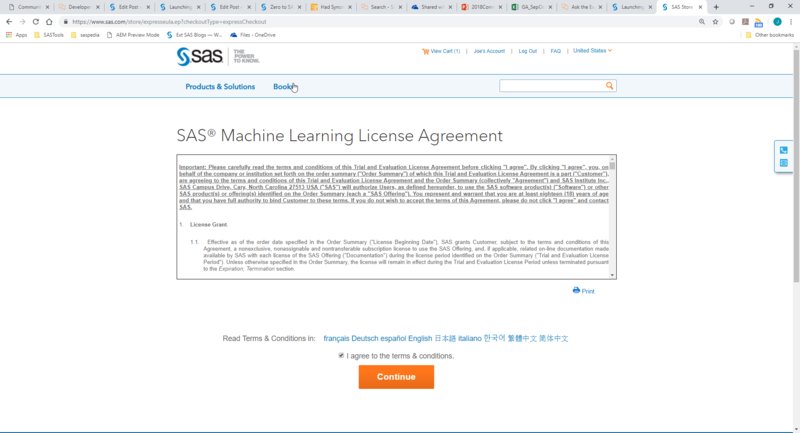 Although the SAS/IML language does not have a built-in "BY statement," there are various techniques that enable you to perform a BY-group analysis. The two I use most often are the UNIQUE-LOC technique and the UNIQUEBY technique. The first is more intuitive, the second is more efficient. This article shows how to use SAS/IML to read and process BY-group data from a data set. I previously showed that you can perform BY-group processing in SAS/IML by using the UNIQUEBY technique, so this article uses the UNIQUE-LOC technique. The statistical application is simulating clusters of data. If you have a SAS data set that contains the centers and covariance matrices for several groups of observations, you can then read that information into SAS/IML and simulate new observations for each group by using a multivariate normal distribution. A BY-group analysis in SAS/IML usually starts with a SAS data set that contains a bunch of covariance or correlation matrices. 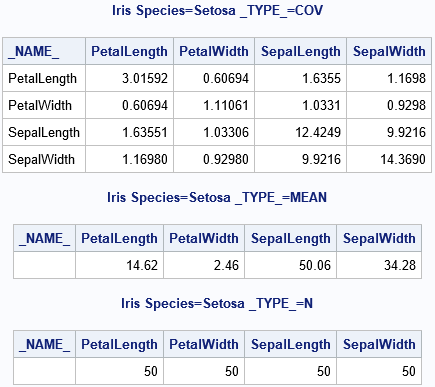 A simple example is a correlation analysis of each species of flower in Fisher's iris data set. The BY-group variable is the species of iris: Setosa, Versicolor, or Virginica. The variables are measurements (in mm) of the sepals and petals of 150 flowers, 50 from each species. 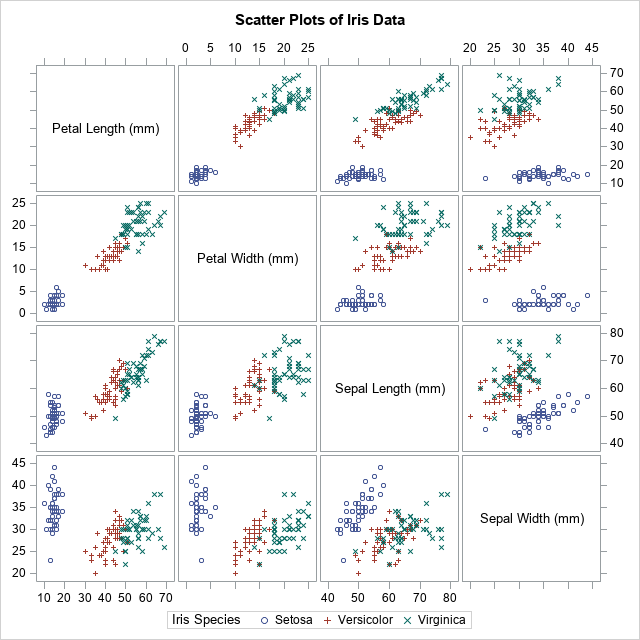 A panel of scatter plots for the iris data is shown to the right. You can see that the three species appear to be clustered. From the shapes of the clusters, you might decide to model each cluster by using a multivariate normal distribution. The statistics for one of the groups (Species='Setosa') are shown. The number of observations in the group (N) is actually a scalar value, but it was replicated to fit into a rectangular data set. The output (not shown) shows that the matrices mN, mMean, and mCov contain the vertical concatenation (for all groups) of the sample size, mean vectors, and covariance matrices, respectively. /* The parameters for this group are now in N, mu, and Sigma. The simulation has generated a new set of clustered data. If you compare the simulated data with the original, you will notice many statistical similarities. Although the main purpose of this article is to discuss BY-group processing in SAS/IML, I want to point out that the simulation in this article is an example of the parametric bootstrap. Simulating Data with SAS (Wicklin, 2013) states that "the parametric bootstrap is nothing more than the process of fitting a model distribution to the data and simulating data from the fitted model." That is what happens in this program. The sample means and covariance matrices are used as parameters to generate new synthetic observations. 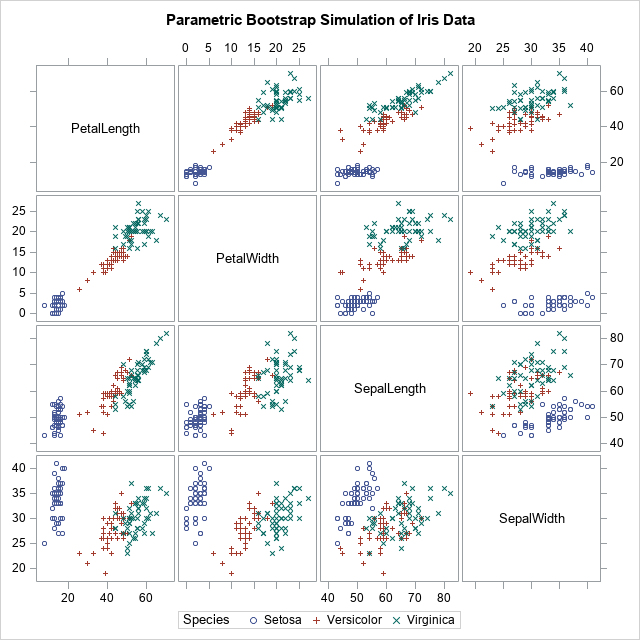 Thus, the parametric bootstrap technique is really a form of simulation where the parameters for the simulation are obtained from the data. In conclusion, sometimes you have many matrices in a SAS data set, each identified by a categorical variable. You can perform "BY-group processing" in SAS/IML by reading in all the matrices into a big matrix and then use the UNIQUE-LOC technique to iterate over each matrix. The post Matrix operations and BY groups appeared first on The DO Loop. Whether you are a strong believer in the power of dividing by zero, agnostic, undecided, a supporter, denier or anything in between and beyond, this blog post will bring all to a common denominator. For how many years have you been told that you cannot divide by zero, that dividing by zero is not possible, not allowed, prohibited? Let me guess: it’s your age minus 7 (± 2). But have you ever been bothered by that unfair restriction? Think about it: all other numbers get to be divisors. All of them, including positive, negative, rational, even irrational and imaginary. Why such an injustice and inequality before the Law of Math? We have our favorites like π, and prime members (I mean numbers), but zero is the bottom of the barrel, the lowest of the low, a pariah, an outcast, an untouchable when it comes to dividing by. It does not even have a sign in front of it. Well, it’s legal to have, but it’s meaningless. And that’s not all. Besides not being allowed in a denominator, zeros are literally discriminated against beyond belief. How else could you characterize the fact that zeros are declared as pathological liars as their innocent value is equated to FALSE in logical expressions, while all other more privileged numbers represent TRUE, even the negative and irrational ones! Despite their literal zero value, their informational value and qualities are not less than, and in many cases significantly surpass those of their siblings. In a sense, zero is a proverbial center of the universe, as all the other numbers dislocated around it as planets around the sun. It is not coincidental that zeros are denoted as circles, which makes them forerunners and likely ancestors of the glorified π. 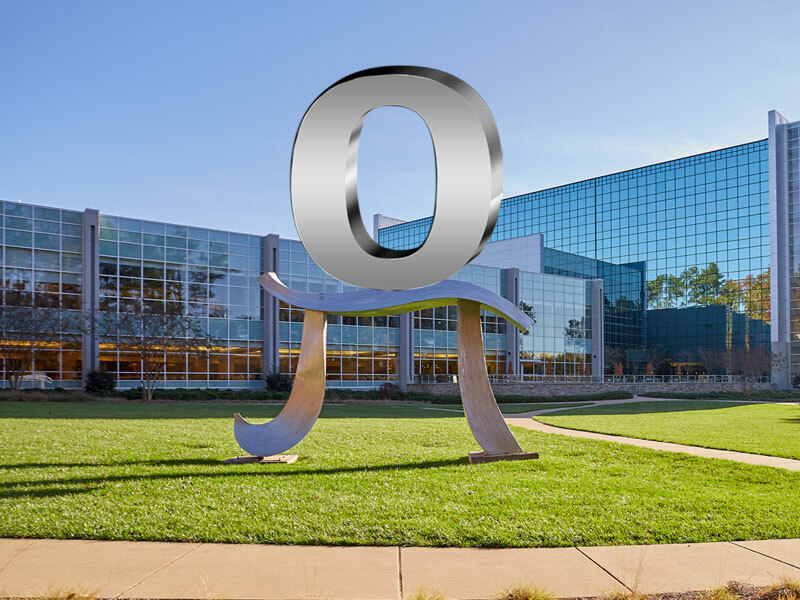 Speaking of π, what is all the buzz around it? It’s irrational. It’s inferior to 0: it takes 2 π’s to just draw a single zero (remember O=2πR?). Besides, zeros are not just well rounded, they are perfectly rounded. Privacy protection experts and GDPR enthusiasts love zeros. While other small numbers are required to be suppressed in published demographical reports, zeros may be shown prominently and proudly as they disclose no one’s personally identifiable information (PII). No number rivals zero. Zeros are perfect numerators and equalizers. If you divide zero by any non-zero member of the digital community, the result will always be zero. Always, regardless of the status of that member. And yes, zeros are perfect common denominators, despite being prohibited from that role for centuries. Zeros are the most digitally neutral and infinitely tolerant creatures. What other number has tolerated for so long such abuse and discrimination! Can you imagine what new opportunities will arise if we break that centuries-old tradition and allow dividing by zero? What new horizons will open! What new breakthroughs and discoveries can be made! Let’s make the next logical step. If dividing by zero can make any wish a reality, then producing a number of our choosing by dividing a given number by zero scientifically proves that division by zero is not only legitimate, but also feasible and practical. As you will see below, division by zero is not that easy, but with the power of SAS, the power to know and the powers of curiosity, imagination and perseverance nothing is impossible. Consider the following use case. Say you think of a “secret” number, write it on a piece of paper and put in a “secret” box. Now, you take any number and divide it by zero. If the produced result – the quotient – is equal to your secret number, wouldn’t it effectively demonstrate the practicality and magic power of dividing by zero? Here is how you can do it in SAS. A relatively “simple”, yet powerful SAS macro %DIV_BY_0 takes a single number as a numerator parameter, divides it by zero and returns the result equal to the one that is “hidden” in your “secret” box. It is the ultimate, pure artificial intelligence, beyond your wildest imagination. How is that possible without the magic of dividing by zero? Note that the %DIV_BY_0 macro has no knowledge of your dataset name, nor the variable name holding your secret number value to say nothing about your secret number itself. That essentially proves that dividing by zero can practically solve any imaginary problem and make any wish or dream come true. Don’t you agree? There is one limitation though. We had to make this sacrifice for the sake of numeric social justice. If you invoke the macro with the parameter of 0 value, it will return 0:0=1 – not your secret number - to make it consistent with the rest of non-zero numbers (no more exceptions! ): “any number, except zero, divided by itself is 1”. Can you crack this code and explain how it does it? I encourage you to check it out and make sure it works as intended. Please share your thoughts and emotions in the Comments section below. This SAS code contains no cookies, no artificial sweeteners, no saturated fats, no psychotropic drugs, no illicit substances or other ingredients detrimental to your health and integrity, and no political or religious statements. It does not collect, distribute or sell your personal data, in full compliance with FERPA, HIPPA, GDPR and other privacy laws and regulations. It is provided “as is” without warranty and is free to use on any legal SAS installation. 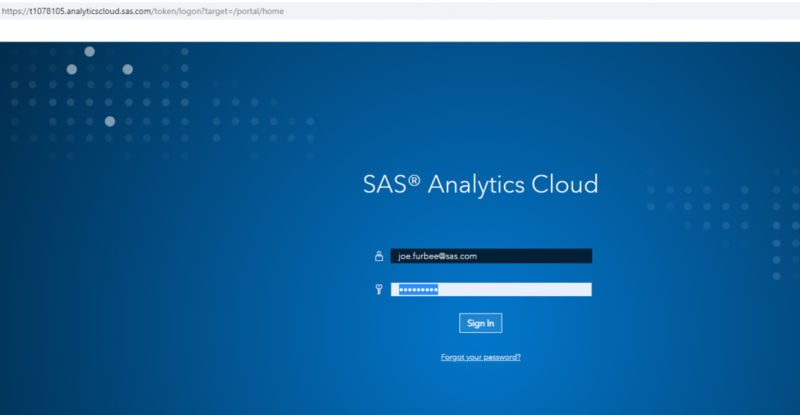 The whole purpose of this blog post and the accompanied SAS programming implementation is to entertain you while highlighting the power of SAS and human intelligence, and to fool around in the spirit of the date of this publication. Dividing by zero with SAS was published on SAS Users.